British pianist Benjamin Grosvenor is internationally recognized for his electrifying performances and penetrating interpretations. 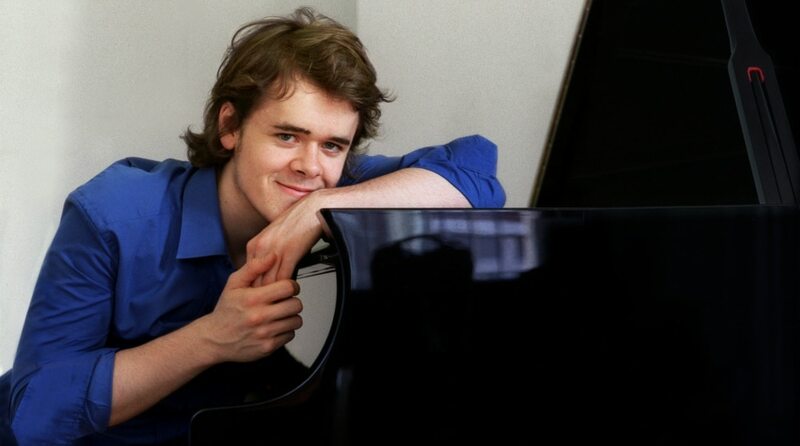 An exquisite technique and ingenious flair for tonal colour are the hallmarks which make Benjamin Grosvenor one of the most sought-after young pianists in the world. His virtuosic command over the most strenuous technical complexities never compromises the formidable depth and intelligence of his interpretations. Described by some as a “Golden Age” pianist (American Record Guide) and one “almost from another age” (The Times), Benjamin is renowned for his distinctive sound, described as “poetic and gently ironic, brilliant yet clear-minded, intelligent but not without humour, all translated through a beautifully clear and singing touch” (The Independent). Benjamin first came to prominence as the outstanding winner of the Keyboard Final of the 2004 BBC Young Musician Competition at the age of eleven. Since then, he has become an internationally regarded pianist performing with orchestras including the London Philharmonic, RAI Torino, New York Philharmonic, Philharmonia, Tokyo Symphony, and in venues such as the Royal Festival Hall, Barbican Centre, Singapore’s Victoria Hall, The Frick Collection and Carnegie Hall (at the age of thirteen). In 2011, having just turned nineteen, Benjamin performed with the BBC Symphony Orchestra on the First Night of the BBC Proms to a sold-out Royal Albert Hall. His performance of Liszt’s Piano Concerto No. 2 dazzled critics, with The Times commenting on “the clarity and poetry of his panache, the airy grace of his arpeggios, the lack of flash buckles and bows”. Benjamin has worked with numerous esteemed conductors including Vladimir Ashkenazy, Jiří Bělohlávek, Semyon Bychkov and Vladimir Jurowski. 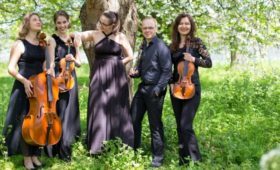 Recent and future highlights include engagements with the New York Philharmonic and Andrey Boreyko, the Minnesota Orchestra and Andrew Litton, and recital debuts in Sydney, Berlin, and the South Bank Centre, London. Benjamin recently gave a highly successful North American tour, including appearances in Vancouver, Washington and New York, where he was labelled a “formidable technician and a thoughtful, coolly assured interpreter” by the New York Times. 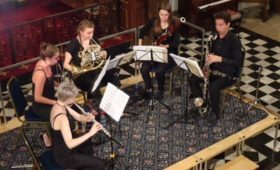 Benjamin continues to incorporate chamber music collaborations into his schedule and enjoys working with other members of the BBC New Generation Artists scheme, of which he is a member during 2010-2012. In 2011/12 Benjamin is Associate Artist with Orchestra of the Swan. In 2011 Benjamin signed to Decca Classics, and in doing so has become the youngest British musician ever to sign to the label, and the first British pianist to sign to the label in almost 60 years. His first recording for Decca includes Chopin’s Four Scherzi and Ravel’s Gaspard de la Nuit. Critics have marvelled at Benjamin’s musical character as displayed in this recording; “Grosvenor, you can tell, is a Romantic pianist, almost from another age. He doesn’t deconstruct, or stand at a distance. 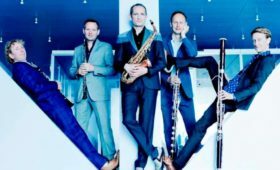 He jumps inside the music’s soul” (The Times) and “Grosvenor’s balance of oratory and ornament, gesture and poetry – evident, too, in Ravel’s Gaspard de la nuit – are moving as well as impressive” (The Observer). Benjamin’s previous recordings include Chopin rarities for the 200th anniversary edition of Chopin’s complete works (EMI, 2010) in which he was lauded for his “sensitivity of touch, general musicality and affection for the music” (BBC Music Magazine) and a debut solo recording “This and That” (Bowers & Wilkins Society of Sound/EMI, 2008), in response to which Bryce Morrison remarked that “even the most outlandish difficulties are tossed aside not just as child’s play but with a seemingly endless poetic finesse and resource” (Gramophone). During his brief but sensational career to date, Benjamin has been featured in two BBC television documentaries, The Andrew Marr Show and his performances have been broadcast widely across the world. The youngest of five brothers, Benjamin Grosvenor began playing the piano aged six. He currently studies with Christopher Elton at the Royal Academy of Music on an affiliated scholarship and has also had lessons with Leif Ove Andsnes, Stephen Hough, and Arnaldo Cohen amongst others.